Hurst Lane , East Molesey , London - West , England , UNITED KINGDOM (Postal Code: KT8 9DX). Among all the activities offered by the centre, in case you are interested in swimming you can take pleasure in 18 meters x 9 meters, 1.1 meters - 1.3 meters depth, 1.1 meters - 1.3 meters depth, Indoors. Just in case you want to contact this Swimming Pool before dropping by, we only know the phone number. 2 Morrison Avenue , Chingford , London - East , England , UNITED KINGDOM (Postal Code: E 4 8SA). This sports centre offers 25 meters x 8 meters, Indoors. For this Swimming Pool, only phone number is number here. Stockley Park , Uxbridge , London - West , England , UNITED KINGDOM (Postal Code: UB11 1AA). This sports centre delivers 25 meters x 10 meters, 3 lanes, Indoors. For this Swimming Pool, only phone number is number here. Lyndhurst Gardens , Finchley , London - North , England , UNITED KINGDOM (Postal Code: N 3 1TD). Among all of the activities supplied by the centre, for anybody who is interested in swimming you will take pleasure in 18 meters x 8 meters, Indoors. Just in case you need to contact this Pool before dropping by, we only know the phone number. Hendon Way , Hendon , London - North , England , UNITED KINGDOM (Postal Code: NW 4 3NL). Among all the activities supplied by the centre, if you are interested in swimming you will enjoy 20 meters x 8 meters, Indoors. Just in case you want to get in touch with this Swimming Pool just before dropping by, we only know the phone number. Richmond Road , Kingston upon Thames , London - South , England , UNITED KINGDOM (Postal Code: KT2 5EN). Swimmers like you reported 25 meters x 10 meters, Indoors. Unfortunately we do not have the email address of this Swimming Pool, but we can give you the phone number. Cathall Road , Leytonstone , London - East , England , UNITED KINGDOM (Postal Code: E11 4LA). Swimmers like you reported 25 meters, 6 lanes, Indoors. Unfortunately we do not have the e-mail address of this Swimming Pool, but we can give you the phone number. 97 Aldersgate St. , Barbican , London - Central , England , UNITED KINGDOM (Postal Code: EC1A 4JR). This sports centre offers 25 meters x 5 meters, 2 lanes, Indoors. For this Swimming Pool, only phone number is number here. Ranelagh Gardens , Fulham , London - Central , England , UNITED KINGDOM (Postal Code: SW 6 3PR). This sports centre provides 25 meters x 12 meters, 6 lanes, Indoors. For this Swimming Pool, only phone number is number here. Woodhayes Road , Wimbledon Common , Wimbledon , London - South , England , UNITED KINGDOM (Postal Code: SW19 4TT). This sports centre offers 30 meters x 10 meters, 4 lanes, Indoors. Contact information for this Swimming Pool similar to phone number and email address are number. Edensor Rd. , Chiswick , London - West , England , UNITED KINGDOM (Postal Code: W 4 2RG). Among all the activities offered by the centre, if you are interested in swimming you might enjoy 25 meters x 12.5 meters, 6 lanes, 0.8 - 1.8 meters depth, 0.8 - 1.8 meters depth, Indoors. Just in case you need to make contact with this Swimming Pool just before dropping by, we only know the phone number. 27 Brixton Station Road , Brixton , London - South , England , UNITED KINGDOM (Postal Code: SW 9 8QQ). 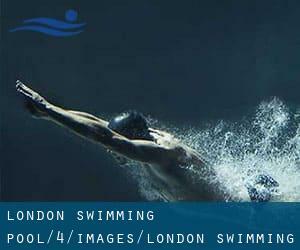 Swimmers like you reported 25 meters, 6 lanes, 0.9 meters - 1.9 meters depth, 0.9 meters - 1.9 meters depth, Indoors. Unfortunately we do not have the email address of this Swimming Pool, but we can give you the phone number. 8 Windmill Lane , Southall , London - West , England , UNITED KINGDOM (Postal Code: UB 2 4XE). Among all the activities offered by the centre, if you are interested in swimming you will take pleasure in 25 yards x 8 meters, Indoors. If it is advisable to contact this Swimming Pool, email address and phone number are both number. Wandsworth Riverside , West Smugglers Way , Wandsworth , London - South , England , UNITED KINGDOM (Postal Code: SW18 1DG). This sports centre provides 25 meters x 7 meters, Indoors. For this Swimming Pool, only phone number is number here. The County Hall , London - South , England , UNITED KINGDOM (Postal Code: SE 1 7PB). This sports centre offers 25 meters x 10 meters, 3 lanes, Indoors. For this Swimming Pool, only phone number is number here.